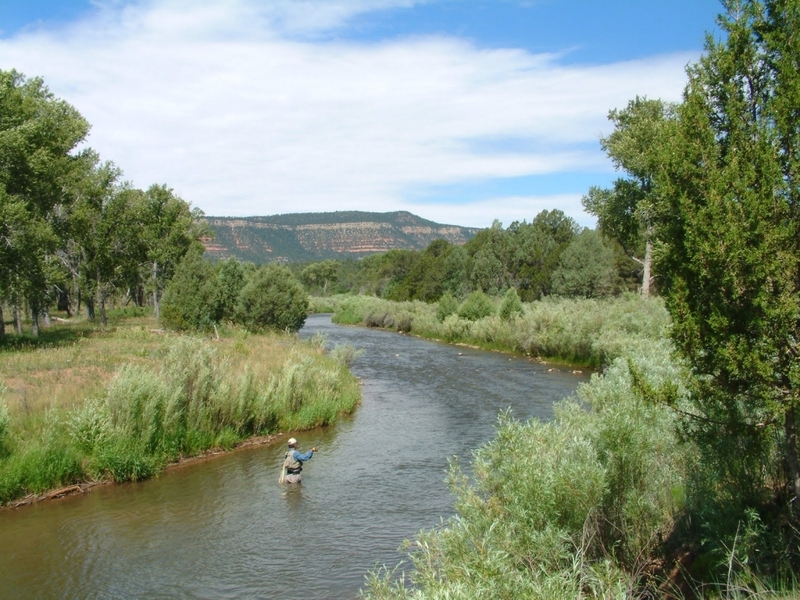 Private waters fly fishing on Culebra Creek. 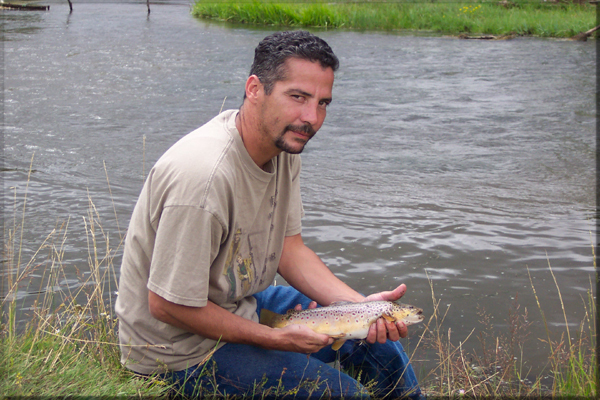 A Colorado Fishing License is required! 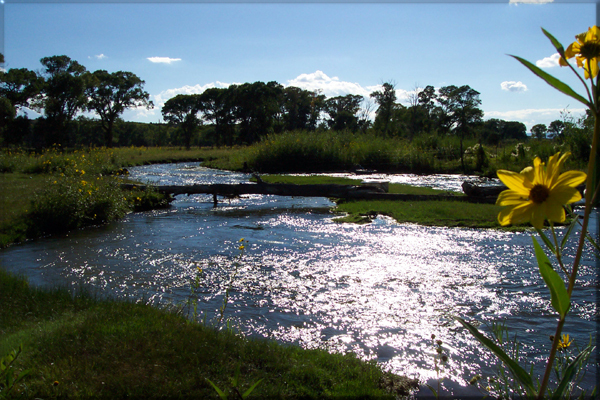 A very unique fishery, the Culebra is a medium size meadow stream with some monster fish, both Browns and Cuttbows. The Culebra is mostly private and may be accessed with a rod fee of $70.00. It’s mainly nymph fishing with some dry fly action evenings and on cloudy days. Culebra Creek is not for everyone. The ability to accurately cast 25′ and be in control of line at all times is necessary here. Beginners would be better served on other waters. 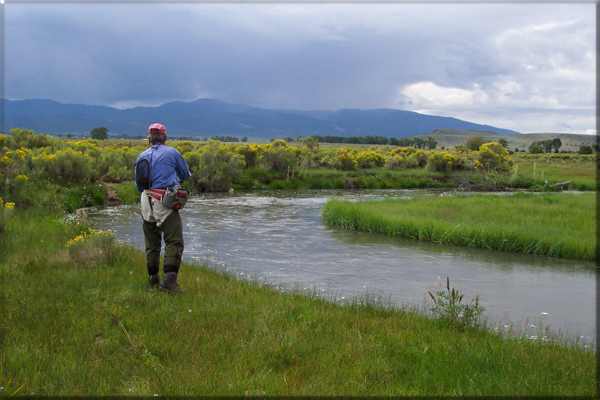 The waters from this fishery will traverse thorough the beautiful and scenic San Luis Valley and eventually flow into the famous Rio Grande. 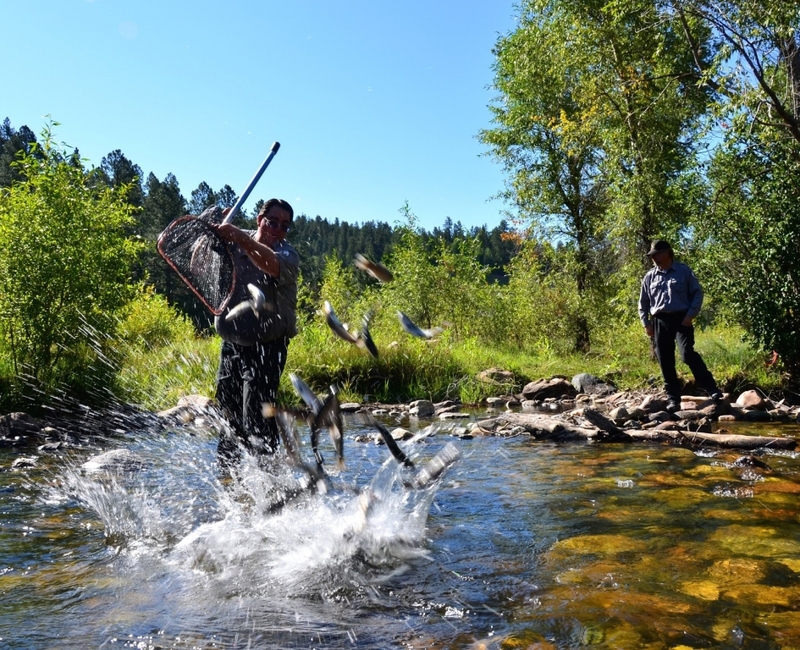 This fishery is Culebra Creek and it begins northeast of Sanchez Reservoir, a cool-water reservoir known for healthy northerns and walleyes. 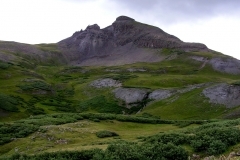 The headwaters of Culebra come from the western slope of Sangre de Cristo’s where the most southern peak in Colorado that is over 14,000 feet is Culebra Peak. 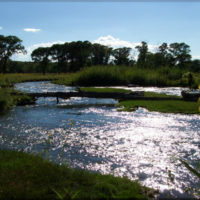 The Culebra and several smaller creeks and streams all have a northwesterly destination, with many of the smaller creeks and streams journey ending when it meets with the Culebra. Slowly it meanders just north of Sanchez Reservoir. As the cool tailwaters out of Sanchez flow into Culebra, the creek grows in size, gently it will oxbow and snake its way through the valley, delicately craving undercuts along its banks. 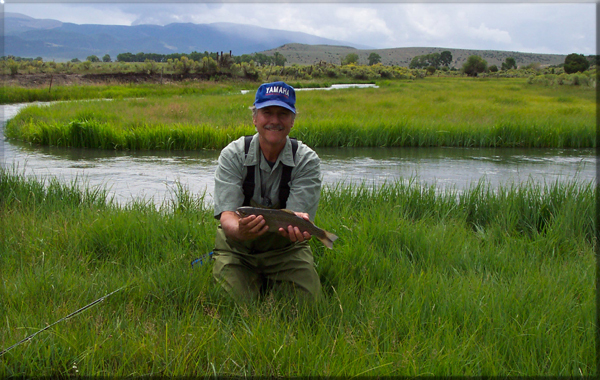 At times the land allows for shallow gravel bars, long clear glides and some deep pool stretches. 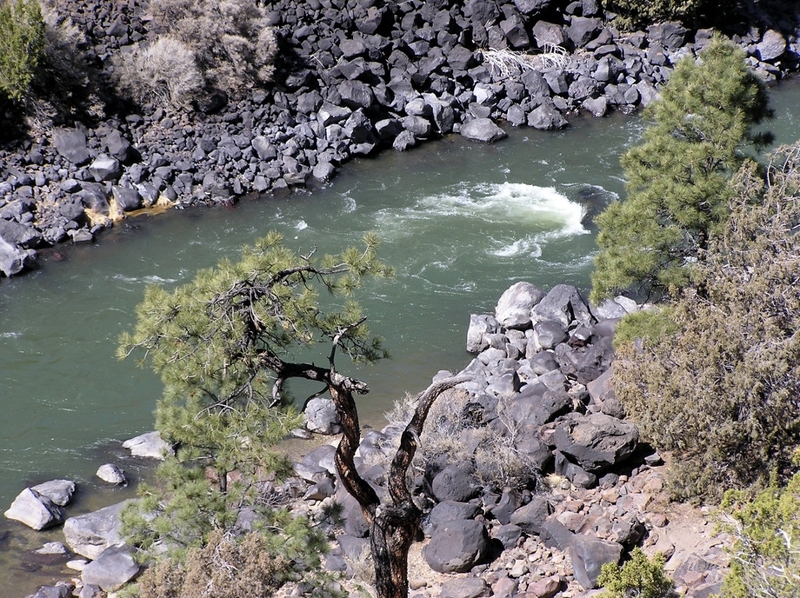 It is this vicinity where the waters have become and ideal trout habitat. 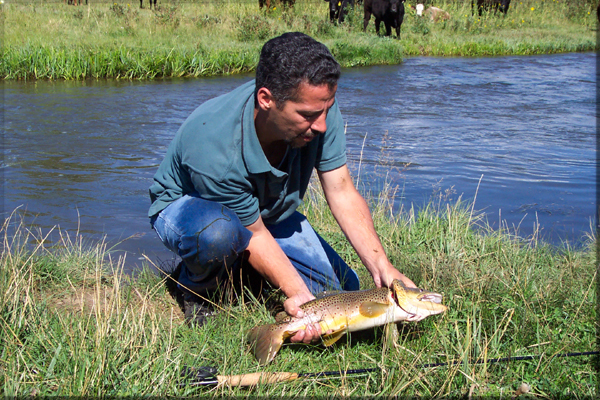 The fish on average are by no means large in comparison to some of Colorado other tributaries, but they good sized in relation to the creek’s size. Some browns in Culebra are in the 4 and 5 pound range, but on average you can expect browns and rainbows short of 14 inches. 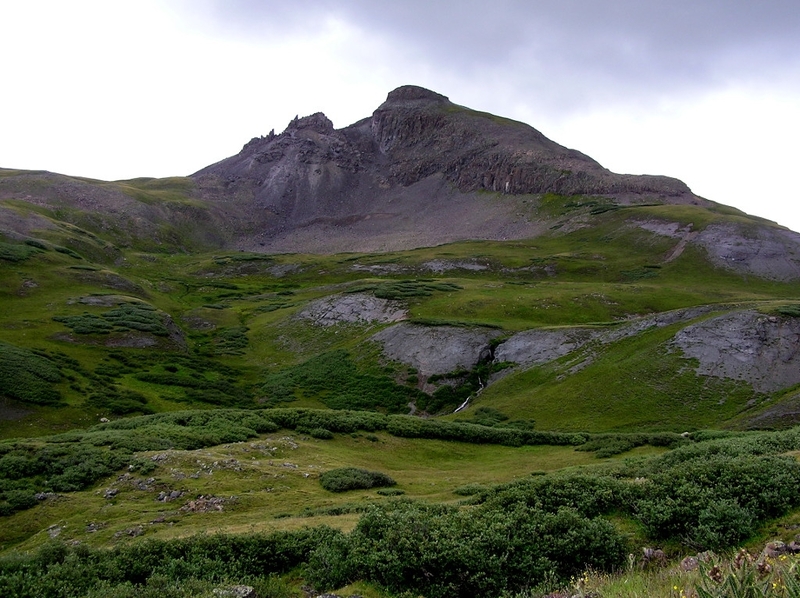 Springtime in the Rockies — a beautiful time of year when Colorado starts to turn green and the snow starts to fade. 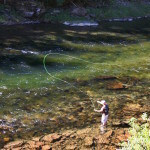 It’s also a time to get the rods out and hit the streams. The fish are getting energetic and their appetites are growing. 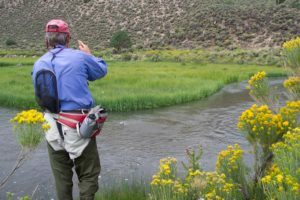 When the snow starts to melt and ice disappears from the rivers, it means increased stream flows and possibly dirty water. Many of the streams will muddy up, depending on how the spring thaw goes. 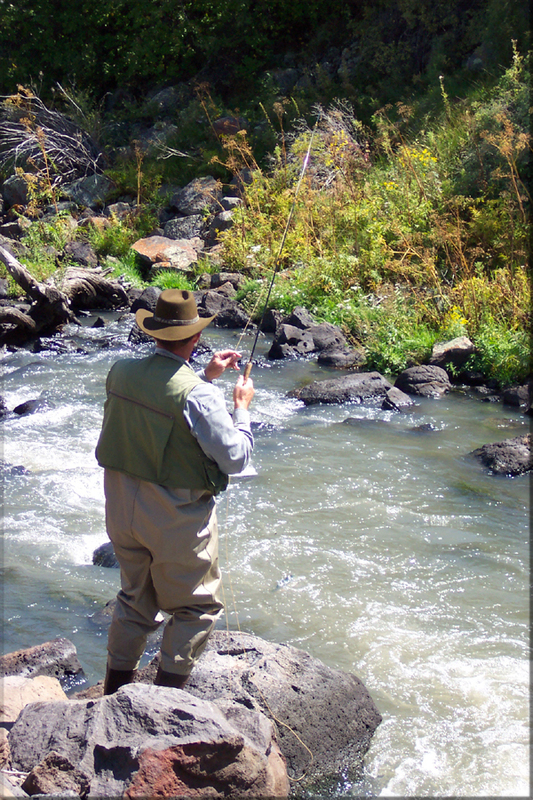 It is best to call fly shops in the area you wish to visit and check on local conditions. 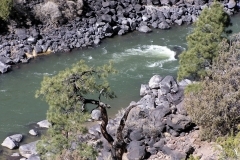 If some of the larger streams are too dirty, try the smaller tributaries like Culebra Creek. 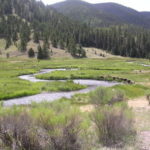 Often they are cleaner as less sediment is washed into the water, or the snow may start to melt later at higher elevations. Even though the fish are getting more active, nymphs are still the desired pattern type. Watch for hatches and “match the hatch” if you can. With the sporadic nature of spring weather in Colorado, you never know when a hatch may happen. 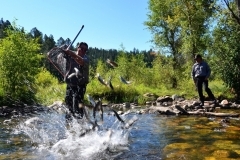 It’s not just that Colorado offers some of the nation’s finest trout fishing. The best part is that you’ll find it in locations where the scenery is so spectacular you’ll forget to watch your line. 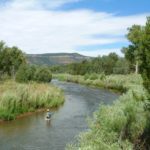 With 8,000 miles of fishable rivers and streams and more than 2,000 lakes and reservoirs, finding a place to wet a line never is a problem. Nor is access. 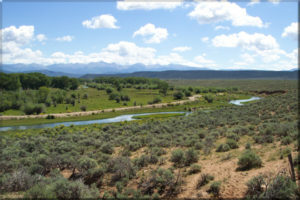 Much of this water is located in Colorado’s vast preserve of public land. Simply park your vehicle and catch a fish. 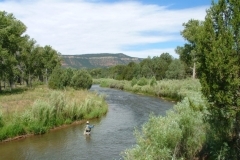 Most of the more than 40 state parks feature fishing as a prime activity. Better yet, contact Culebra Creek Outfitters now and reserve your own private stretch of water!